Hey everyone, the crew of TFG Radio here to give you an important PSA: How to build armies in 7th Edition. This is one of the most common questions that we get, and from our collective experience both in the retail side, converting friends to gamers, and even surfing various online forums/group chats/FB groups, this is always something that comes up, so we thought we’d help out and offer a handy guide. 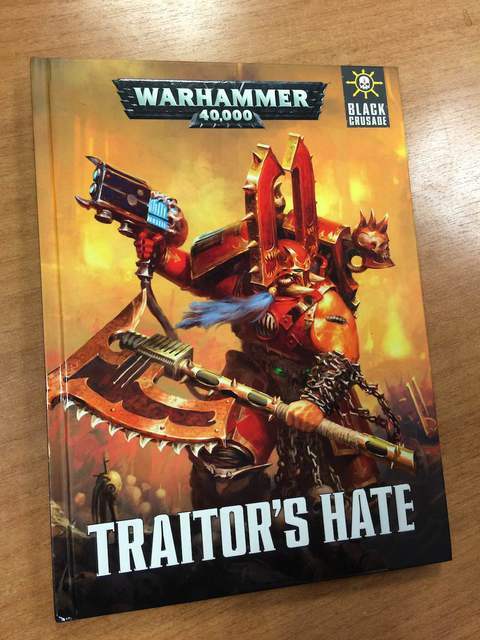 So, how do you build an army in 40K now? The first thing to understand is that the Force Organization Chart still exists, but it has been slightly altered and given some new bonuses. If you still want to just play with one codex, 1-2 HQs, 2-6 Troops, 0-3 Elites, 0-3 Fast Attack, and 0-3 Heavy support, you still can! You can even get some bonuses for it, but we’ll talk about that in minute. Do you want to play Unbound or Battle-Forged? An Unbound army means you can literally bring any unit from any codex in the game with no restrictions. You want 40 obliterators? Go for it! You want 4 Flyrants and 2 Imperial Knights? 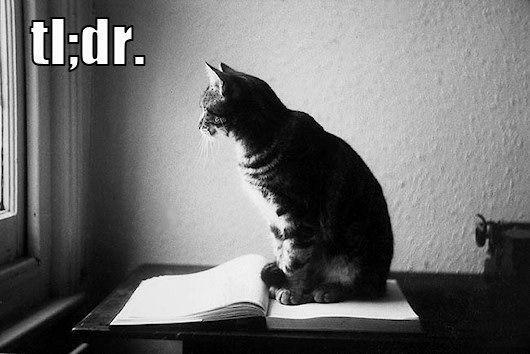 Go on with it. Unbound has no force building restrictions whatsoever, outside of points (and maybe not points; that is in the rules). Why not do this? Well, 99.9% of tournaments and most pick-up games exclude Unbound armies. This is a great way to start the hobby and get some games in, but if you want more organized play or pick-up games with people at a local shop, this is not the best way to go about it. A Battle-Forged army means that your army is composed entirely of units that fall into a specific structure, either a unique formation, a series of formations, or something like the old force-org chart. Collectively, we call these structures a Detachment. Every Detachment has specific criteria of what you need to include. To achieve Battle-Forged, your units must be grouped within some kind of organization outlined by a codex or the main rulebook, so every model/unit must belong to some kind of Detachment, and each Faction has unique Detachments and formations that you can use. The standard Detachment is the Combined Arms Detachment , which is identical to the old Force Organization Chart, with two small exceptions: They also include one slot for a Fortification and one slot for a Lord of War. Yes, Lords of War and Fortifications are now included in the game without needing opponent permission. The benefit of a CAD is that all of your Troop choices are given the rule Objective Secured, meaning that they always count as controlling an objective, regardless of enemy models, so long as the enemy does not also have the rule Objective Secured. Obsec is a vital part to the game, so it is not a bad idea at all. Your Warlord (the leader of your army) also gets to reroll their Warlord trait if they are chosen as part of a CAD. 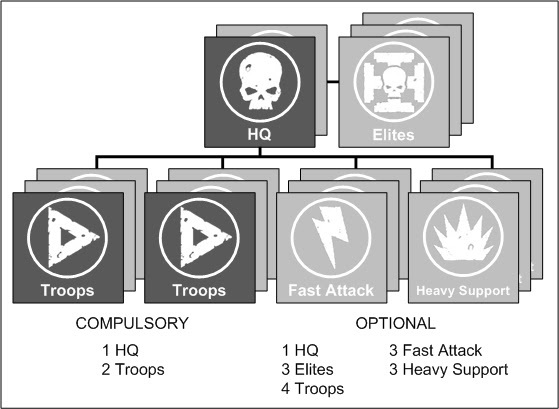 All Factions have access to the CAD as it is universal to any Faction that has at least 1 HQ choice and 1 Troop Choice. The next Detachment is called an Ally Detachment. This is 1 HQ, 1-2 Troops choices, 0-1 Elite, 0-1 Fast Attack, and 0-1 Heavy support. You’ll notice there is no slot for Lords of War (LoW) or Fortifications. There are some limits to an Ally Detachment, namely that you cannot use an Ally Detachment of the same Faction that is your Primary Detachment (the one with your warlord), and you cannot have a character taken as part of an Ally Detachment be your warlord. Your primary Detachment does not have to be the Detachment with the most points though, so you can have your Primary Detachment just be an Inquisitor on his own while the rest of your army is Blood Angels. Troops in an ally formation do also gain Objective Secured. See those skulls in the top corners? That’s the formation symbol. The next is just a Formation. This is a collection of units that has specific requirements but also gains specific bonuses. 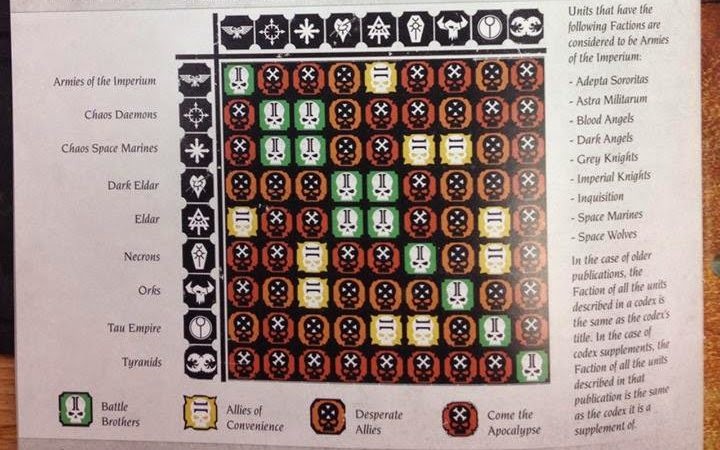 Any “Data-Slate” (what GW calls how they group units and formations together in the codexes) that has the Formation icon can be taken on its own as a standalone Detachment. The Formation itself vastly limits you as you can only take the required models/units, so you cannot add additional units to it that are not listed in its requirements. These formations do get bonuses though, so it is often that players will take a formation on its own that allows them to add a powerful combination of units, characters, or models without having to take a full CAD or Ally Detachment. The often ignored Ork Decurion. The last is the most confusing, a Decurion. This is not its actual name, but it is a Formation made up of other Formations that grant extra bonuses to all models/units included within it. 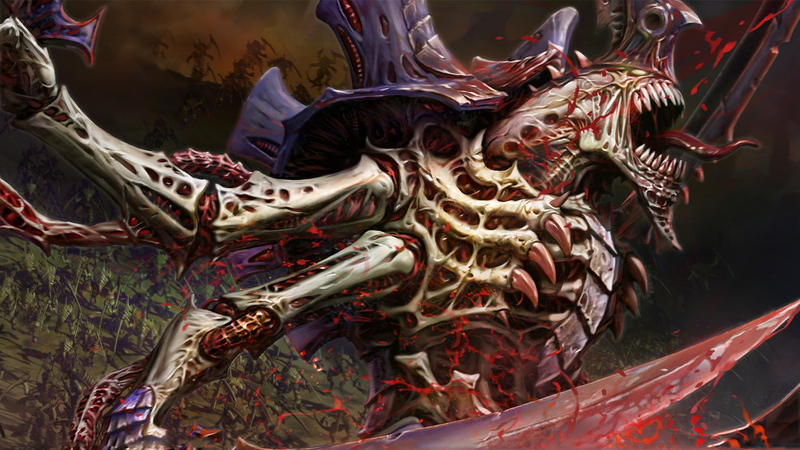 Most codexes now have their own special detachment, which we shorthand to a Decurion (named after the first one, the Necron version), that is a formation made up of other formations. To utilize these, the Decurion will set a required amount of Formations, namely at least 1 “Core” formation (labeled in the codex), at least 1 “Auxiliary” formation (labeled in the codex), and “Command” formations (again, labeled). So, to use a Decurion, you must have typically two formations from a specific set, at least one core formation and at least one auxiliary. The benefit of this is that all units/models taken as part of this Decurion gain certain bonuses including the bonuses they already receive from their specific formation, so you can layer extra rules on top of extra rules. In terms of most tournament restrictions, a Decurion also only counts as 1 Detachment overall, even though it is made up of several Formations. Most tournaments have a set limit on how many Detachments you can take, usually 3. 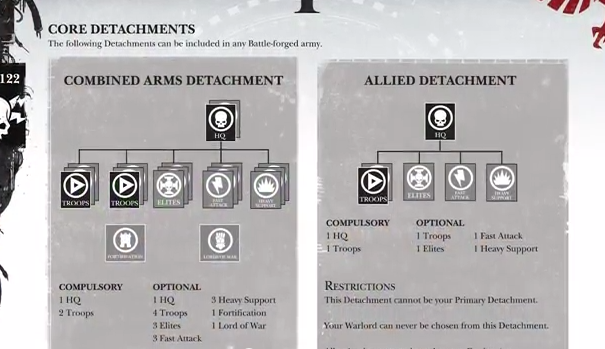 This means you can only have at most, 3 unique Detachments in your army, so you couldn’t run two CADS, one Ally Detachment, and 1 extra Formation. Some formats also limit doubling Detachments, so depending on where you play, you may not be able to take two CADS or two of the same formation. Ok, so I get Formations and Detachments, but what about Allies? Just like in 6th edition, 7th has a robust Allies system that allows a player to build a Battle-Forged army with more than one codex (called a Faction now). There are several levels of friendship between the Factions to represent how well and comfortable they are working together. Battle-Brothers: Factions that are BB treat each other as friendly models that are also part of their army (so they can target each other with friendly buffs), can embark onto transports, share positive rules and abilities, and independent characters can join BB units and share their abilities. This is the highest level of allegiance, and it is commonly used. Essentially, BB units make no distinction between themselves or their allies, except for powers and abilities that specific they only work on a specific Faction. 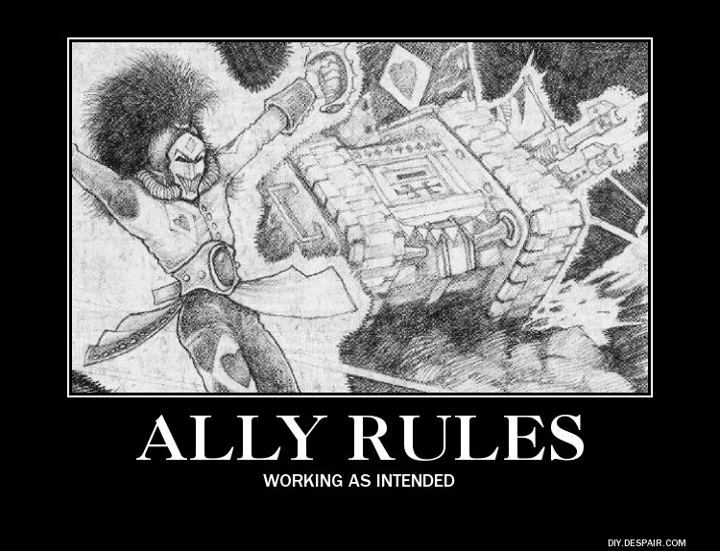 All armies of the Imperium are BB with each other, all armies of Chaos are BB with each other, and all Eldar armies are BB with each other (cause F-You Orks, Tau, and Tyranids). Allies of Convenience: Factions that are AoC treat each other as enemy models that cannot be charged shot, attacked, or targeted with psychic powers. You can’t share rules or join each other’s units, and in general, this essentially means they are an entirely separate part of your army. Do note that blasts, special rules, or abilities that affect all enemy units within a certain range will hurt or impact your own models that are AoC. This also means that your own units can contest objectives, so you need to be careful of spacing. This is essentially a quick way to add another self-contained force to your army (like adding Space Wolves for close combat punch in a Tau army). Come the Apocalypse: Factions that are CtA treat each other just like DesA (including using the OneEye Open rule), but they cannot deploy within 12 inches of each other. Many tournament formats do not allow CtA allies, but some do. So with all this in mind, depending on your local group, you can build a Battle-Forged army (or Unbound, but again Unbound has no restrictions), that uses different factions, so you can easily make an army that uses one Detachment from Space Wolves, one from Eldar, and one from Tau. 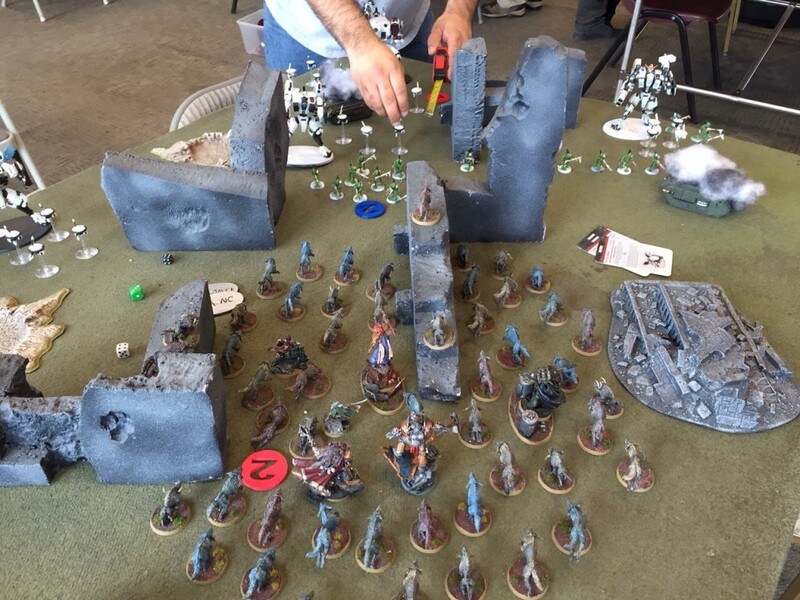 It is more than common in the competitive scene to have armies that heavily rely on allies, so it is not uncommon to see an army that is part Dark Angels, part Space Wolves, and part Space Marines that combine all of their characters into one giant ball of death (called a Death Star). There will be more of these Black Crusade expansions. Wait, why are Dark Angels and Space Marines not the same Faction? 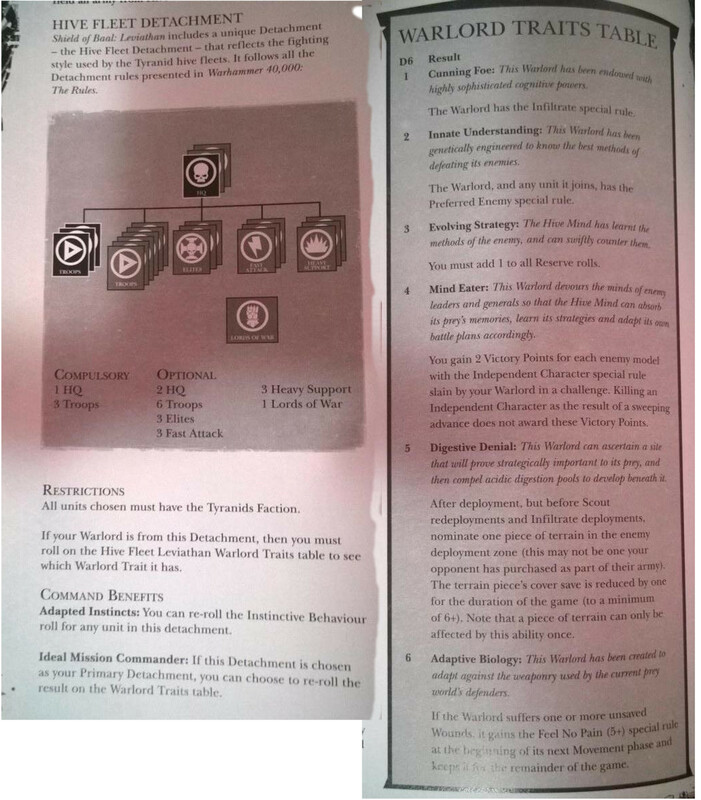 Ok, so in 7th edition, we now have Factions instead of armies, meaning that there are distinctions between certain forces. Space Marines are their own unique Faction (this includes White Scars, Iron Hands, Ultramarines) while Space Wolves, Dark Angels, Blood Angels, Deathwatch, and Grey Knights are all unique Factions. 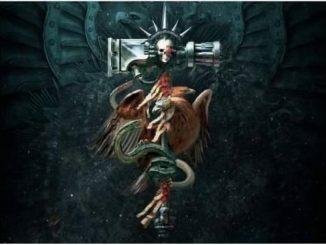 If you think of it this way, each codex is an overview of a specific Faction, so if you have your own codex, you have your own unique Faction. 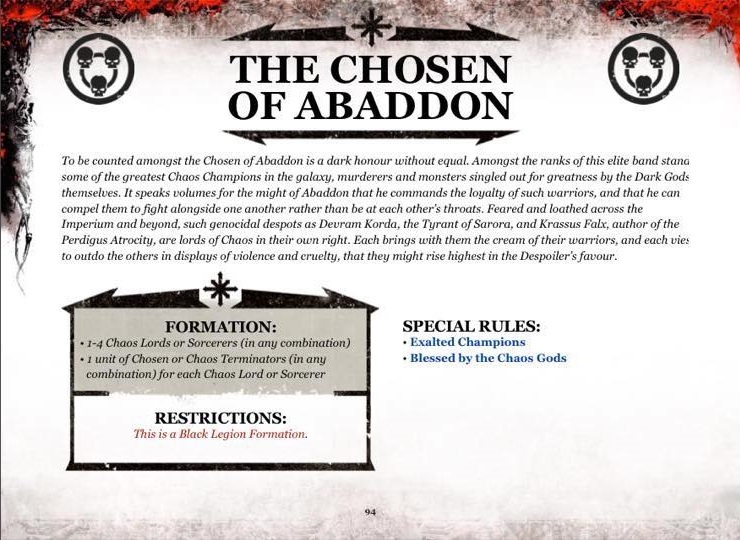 It’s also important to note that not all rules for a Faction exist in their codex since GW has published quite a few Supplements like Shield of Baal, Curse of the Wulfen, and Traitor’s Hate. This means that to play a specific Faction, you may need several books to have all the complete rules, which is why it is not so precise anymore to say “codex” when referring to an army. A great example is that the Space Wolves Decurion is not in their standard codex but rather in Curse of the Wulfen. 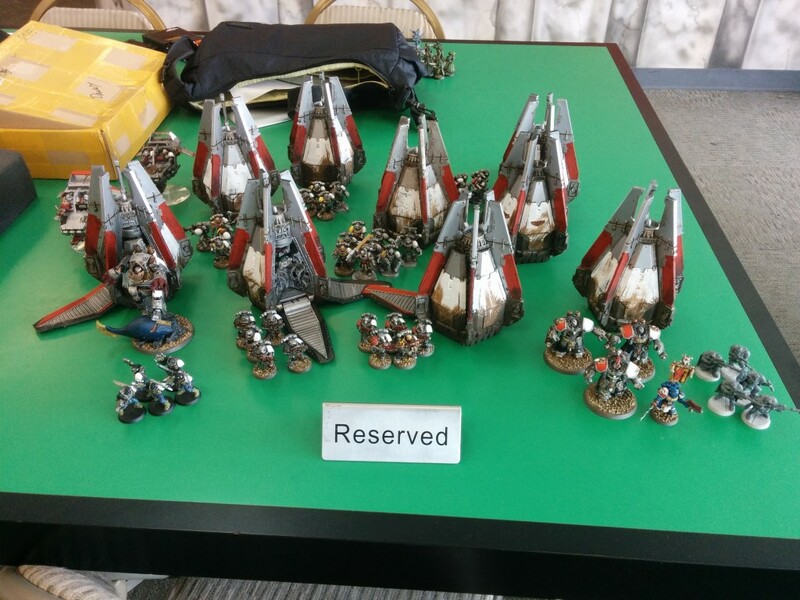 There are a few tournaments that limit Sources (the catch-all term for a book that contains rules for a Faction, whether it be a codex, campaign supplement, or Forgeworld units) rather than Detachments, meaning you can only draw your rules from a certain number of books as opposed to Detachments from anywhere. Why are there are these rules about “which format you play”? Well, the reality is that almost no one plays this game without some kind of army composition (comp). The largest is the ITC format which has some restrictions on how you can build your army, namely 3 Detachments, only 1 double of a Detachment, and no CtA allies (if this made sense to you, yay, you’ve been reading closely). The rulebook allows you take as many Detachments as you can fit into the points, and most agree that this leads to some really annoying armies, so the community in general has curbed this a bit. It also can make army verification almost impossible for Tournament Organizers if you can have an army made up of 8 different detachments. You need to ask around your local shop what format they use because that will dictate a lot of how you can build your army. All tournaments have in their packet what their army composition restrictions are, and for the most part, ITC is a good model as it is a bit more conservative than other formats, so if you build an ITC legal list, chances are it is legal in most other formats. In terms of points, almost all major tournaments use 1850 as the standard. It is of course completely fine to play whatever points level, but that is between you and your group. So, that’s it, that’s how you build armies in 7th edition, but let’s look at some examples to make sure this all makes sense. Note: no points or upgrades are given to simplify everything right now. So here, you can see that this list is only 2 Detachments, both CADs. By doubling up on CADs, you can bring 4 HQ slots and 4 Elites as well as have a slot for a Fortification (which the Hive Fleet Detachment, AKA the Tyranid Alternative CAD does not provide). This is a Battle-Forged army, and the Rippers are Obsec (not Mucolids due to a special rule), and the warlord gets to reroll his Warlord Trait because this list only uses CADs. This is a relatively simple army built using the 7th edition rules. So this is a more complicated list that is somewhat abusing the system and the Allies matrix. You have three Factions, but each one are Battle Brothers to the other, so all the Independent characters can join together into one super unit along with the wolves, who thanks to their Formations special rule, can form into super unit as well. This creates the Death-Star called the Wolf-Tide. By taking the Nemesis Strike Force, you get access to a Lord of War slot but also a special rule to allow the Strike Squads to roll for deep strike reserves starting turn 1, which can be nice for a null deploy style of play although as this isn’t a standard CAD, they are not Obsec. The Dark Angels CAD also gives me access to another Lord of War, Azrael, as well as some nice Obsec Scouts to play the mission. Finally, the standalone formation The Wolf-Kin allows a player to create a giant unit of dogs for the Independent Characters. So this is another list that is heavily utilizing allies, but not in the same way. The Eldar and Tau are Allies of Convenience, so they have no penalties in terms of being near each other, but the Farseer cannot cast psychic powers on the Riptides. The Wulfen are Desperate Allies with both the Tau and Eldar, so if they start within 6 inches of each other, you have to take One Eye Open tests, but there is no restriction in terms of deployment. This list is really designed to take the best parts of several Factions and put them together in a very balanced army that has some heavy shooting, heavy melee, strong movement tricks, and some psychic defense. The Windriders are obsec, allowing for some late game objective grabbing thanks to the CAD, but they also provide some heavy shooting thanks to their scatterlasers. The Eldar CAD also gives the list a Wraithknight, the pound for pound champ in terms of Superheavies (yes, those are legal now too, but check with your local meta about restrictions). The Riptide Wing is a self-contained formation that can lay out serious shooting pain, but thanks to its jetpacks and stimulant injectors, each riptide also moves well and takes a lot of punishment. 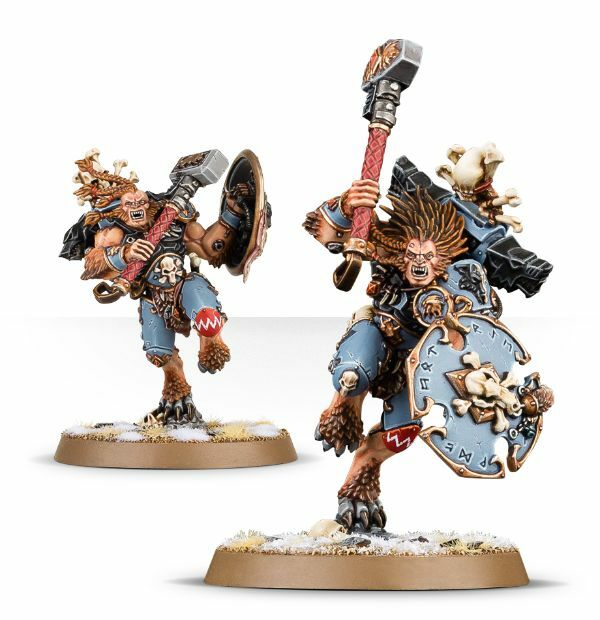 Finally, the Wulfen Murderpack allows you to take 2 small units of the scariest melee fighters around to make sure that anyone getting too close to the bikes or Riptides meets an unpleasant end. So this is a list that technically uses only one Detachment, the Gladius Strike Force, otherwise known as the Space Marine Decurion. This army actually uses 4 formations, but all of them belong to the same Decurion and it fulfills the minimum 1 core choice and 1 auxiliary choice, so it all counts as one Detachment for the purposes of army building. This list really utilizes the built in advantages of using a Decurion as all of the transports for the Battle Demi-Companies are free (yes, free), and all the units in the Battle Demi-Companies are Obsec, so this army gets to drop down on you turn 1, fire, and then all the drop pods and marines from these two formations are Obsec. The Sternguard formation gives them some big bonuses to shooting, so they will hit like a ton of bricks when they land, and of course, the Conclave allows for a big psychic powerhouse unit that can do a lot of tricks. 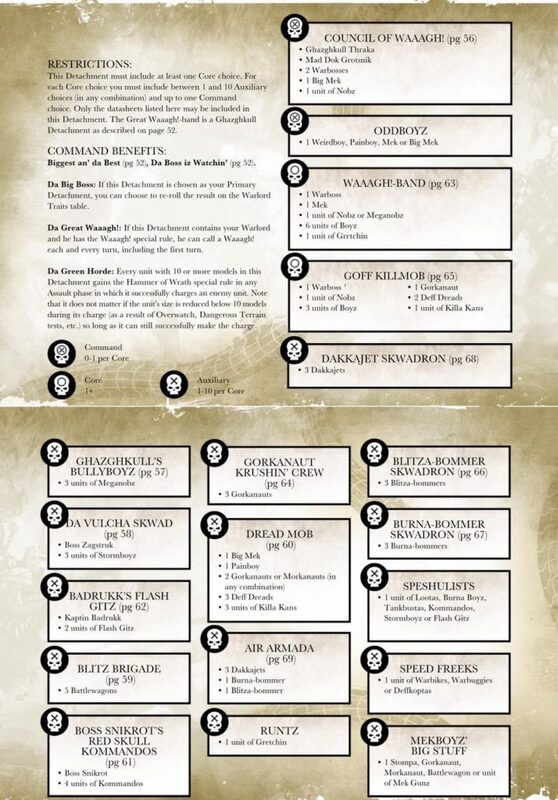 So there you have it, some very different lists that are all built in the new 7th edition style. If you still have questions please feel free to ask, and if you liked this PSA, maybe check out the Patreon so we can start pumping more out (complete with video and graphics)!